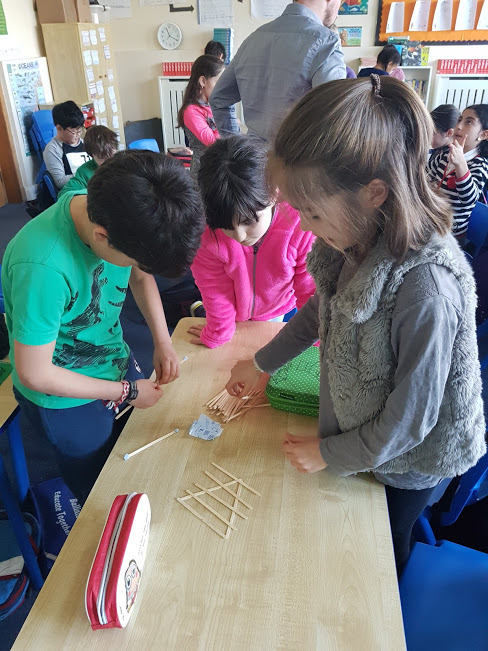 During Engineer’s week, 4th Class had two outstanding engineers come to their class. Their names were Carl and Alan. Alan is a Civil Engineer and Carl is a Chemical Engineer. They told us what engineers do and that if we didn’t have engineers, we wouldn’t have all the high-tech things that we have today. 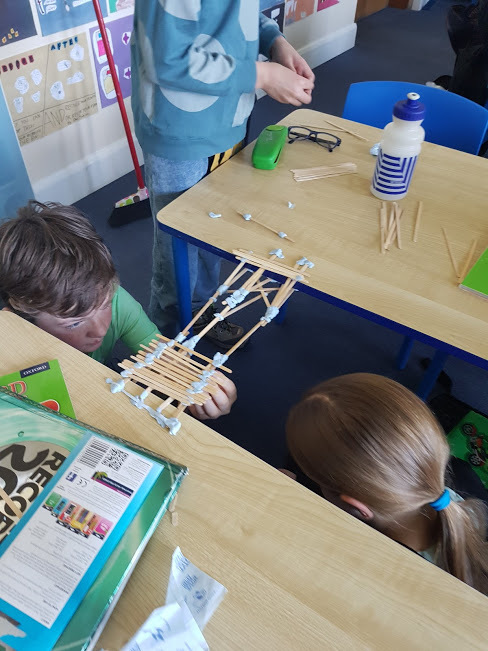 Carl and Alan showed us very interesting videos about engineers and how they learn from their mistakes everyday. 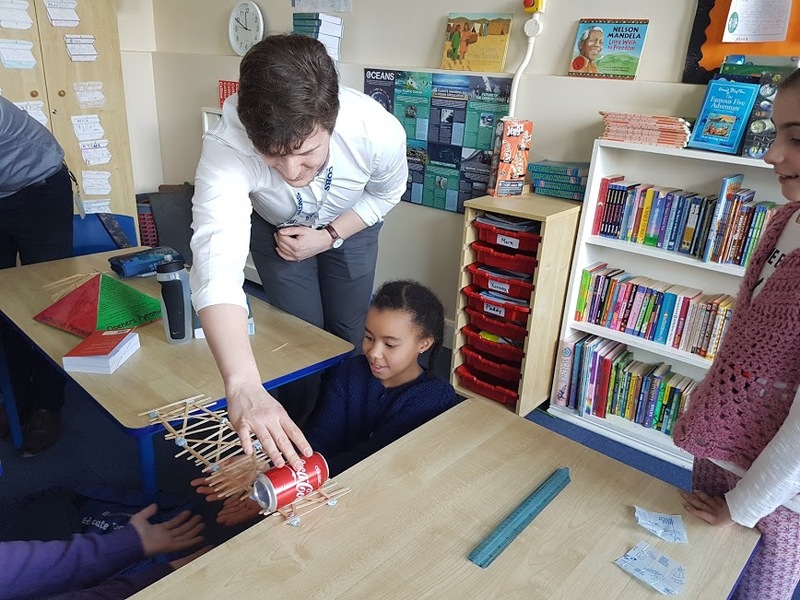 They brought over lollipop sticks and blu-tak for us to make small bridges that could hold a coca-cola bottle, it was so much fun. 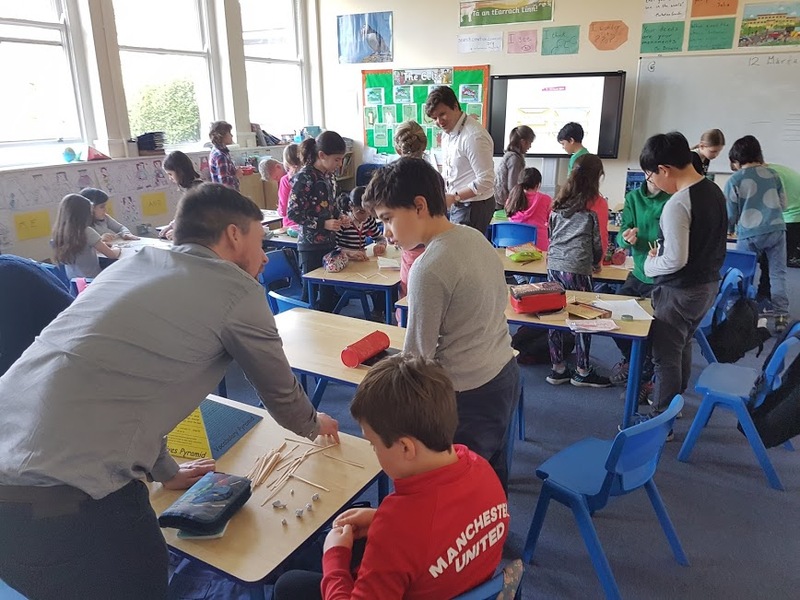 All and all 4th Class had an excellent time with the engineers.